Five communities across the country have been named to the 2019 class of Great American Defense Communities, the Association of Defense Communities (ADC) announced with USAA, the program’s official sponsor. The Great American Defense Communities program, now in its fourth year, recognizes military communities and regions that help improve the quality of life for service members, military families and veterans. The 2019 class includes Bay County, Fla., home to Tyndall Air Force Base and Naval Support Activity Panama City; Clovis, N.M., the community neighboring Cannon AFB; Greater Columbia Region, S.C., the region surrounding Fort Jackson; the Middle Georgia region, which is home to Robins AFB; and The North Country-Fort Drum region of New York. 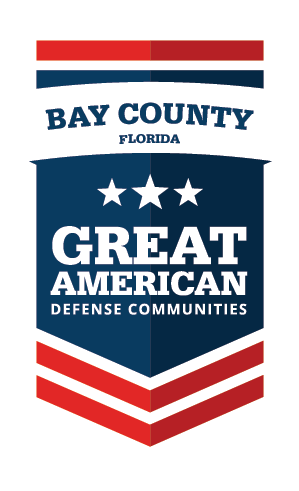 Defense communities, regions which are home to active military installations, were eligible to apply for the 2019 class of Great American Defense Communities. This year’s selected communities will be honored throughout the year, including at the Defense Communities National Summit in Washington, D.C., in June 2019. The Great American Defense Communities program was launched in 2015 in association with the Defense Communities Caucus in the U.S. House of Representatives and the U.S. Senate. The inaugural class, honored in 2016, included Colorado Springs, Colo.; the Dayton, Ohio, region; the Eglin-Hurlburt, Fla., community; the Flint Hills, Kan., region; the Fort Leonard Wood, Mo., region; Grand Forks, N.D.; Sound, Wash. The 2017 class included the Alamo – San Antonio, Texas, region; the Charleston, S.c., region; Christian Co., Ky.; the Fort Hood – Central Texas region; Goldsboro, N.C.; the Hampton Roads, Va., region; Sierra Vista, Ariz.; the Southeastern Connecticut Council of Governments; and West Valley Partners in Arizona.